SOS Illinois Foster Parents and children gathered at our Chicago Village to celebrate dance and determination. Kareem Wells, known as the artist K.W.O.E., speaking about the importance of learning from others and making the most of opportunities to progress toward one’s goals. 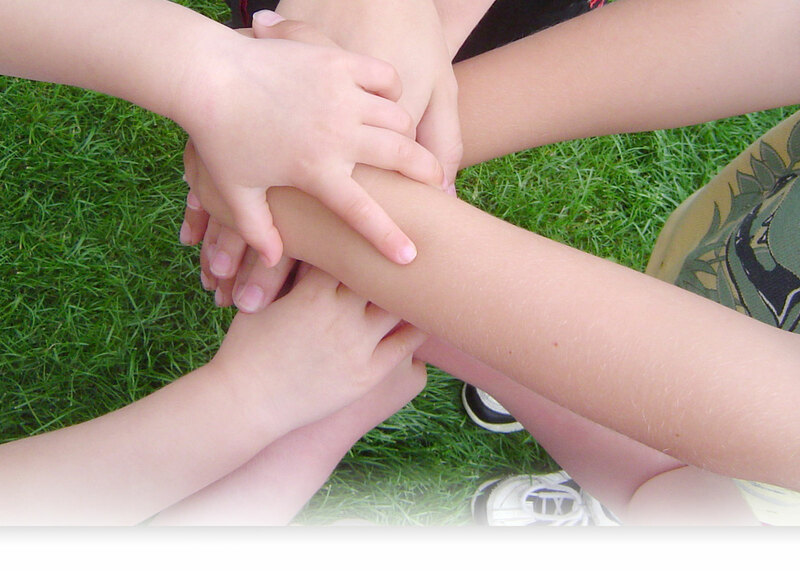 We emphasize the importance of staying active with our children and families. 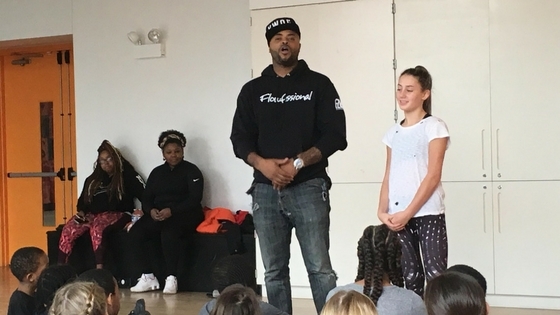 Despite the cold February weather, we were fortunate to offer a special opportunity to do just that with a hip-hop workshop sponsored by our wonderful corporate partner Walton Isaacson. The morning was made possible by Cory and Stephanie Isaacson and their family. 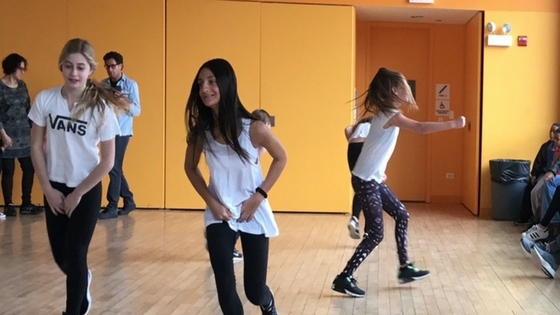 Thanks to Mr. Isaacson’s daughter Amelia, who dances with a team at FUSION Dance Company, we were joined by three of her troupe members who led the workshop. In addition, family friend and musician K.W.O.E. also joined us and offered encouragement and words of wisdom to our youth. Nearly twenty children from our Chicago and Roosevelt Square Villages gathered in the community room at the Chicago Village Community Center to learn from Amelia and her team. The dance team first performed for the group and then led the children through a series of exercises, stretches, and dance steps—even teaching our youth how to count the steps as the dancers themselves do. Dancers from FUSION Dance Company perform for SOS Illinois youth. The girls from FUSION Dance Company are quite an example for our children. The team competes locally throughout the school year, practicing frequently throughout the week. Driven by the team philosophy “Attitude is everything,” these young women demonstrate commitment and work ethic, and it shows: they have garnered competition awards and honors for choreography and technique. Another positive presence and example for our youth was Kareem Wells, recording artist and Chicago music event producer K.W.O.E., who offered some encouraging words to the children. Echoing the sentiment of hope and encouragement that we prioritize in our Villages, Wells urged the children to work hard, follow their dreams, and make the most of every opportunity to listen and learn from others—and to celebrate each other’s differences. Our children and families embraced everything they learned at the workshop. Thank you to Walton Isaacson, Cory and Stephanie Isaacson and their family, Kareem Wells, and the Emerging Leaders Board and staff members in attendance for an active and inspiring morning.